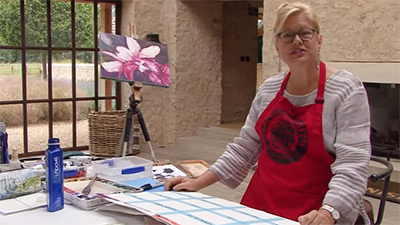 In this latest film Joseph travels to “la bella Roma” and shows us the importance of planning your painting, concentrating on the fundamentals of selecting a subject and composition. He suggests that we avoid the obvious and emphasises the value of observation and drawing. He then uses these ideas to produce pencil drawings and watercolours of various corners of Rome—a market, along the river Tiber, a quiet street and outside the Pantheon. 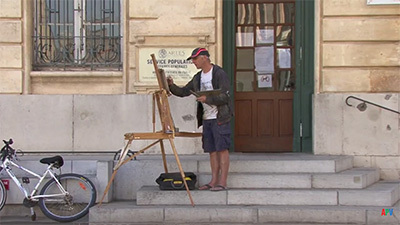 He finishes the film by painting a large studio watercolour of the Piazza del Populo that we see him sketch in situ. 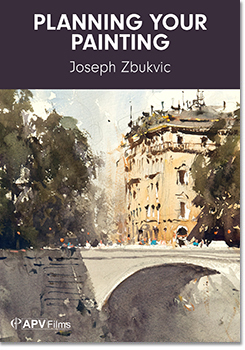 For Croatian-born artist Joseph Zbukvic, planning is everything when it comes to watercolour painting. "Painting begins with the decision of what to paint," he says, "If that's wrong, the rest is a waste of time". 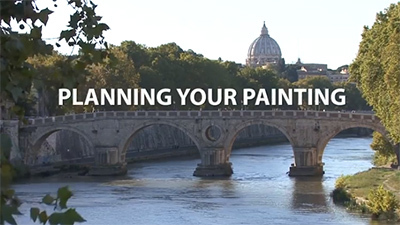 In his latest film, Joseph uses Rome as his backdrop to show us how to set about planning a painting. 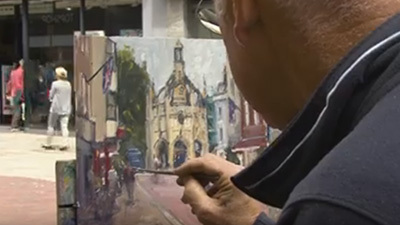 Concentrating on the value of observation and drawing, Joseph describes how to select the subject and work out the best composition, before starting to paint. His demonstrations include a market scene, a quiet street, alongside the river Tiber and outside the pantheon. 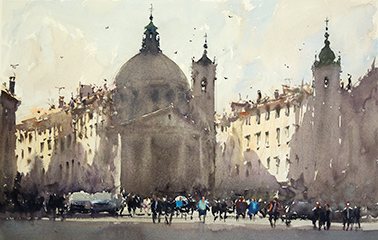 He finishes with a large-scale watercolour of the Piazza del Popolo, which he sketches in situ and completes back in the studio. 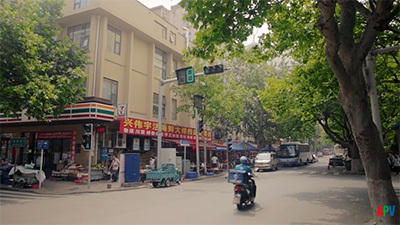 This is a film about seeing, observing and refining. Joseph spends a lot of time getting to know a place, understanding its structure and looking for compositions that work. Here in Rome he tells us that 'if what you paint is wrong, the rest is a waste of time.' 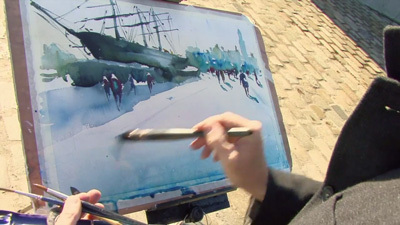 What he is looking for are shapes, forms and tones rather than mere beauty, which can distract you into a bad painting. 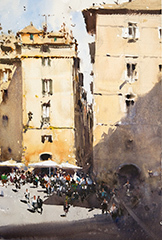 Joseph's peregrinations lead him into quiet corners as well as busy piazzas and he shows you how to select what you are going to paint, looking for the compositions that work best, with light, shade and tone. For Joseph, colour is something to be added at the end of a work when the form and composition are complete. 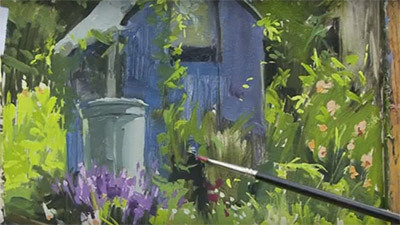 Sketching in pencil and watercolour, Joseph works in a variety of locations before completing a full-scale painting back in the studio.